Product description : Brand New Atlas copco make air cooled, rotary screw compressor, tank mounted with integrated refrigerant dryer fitted with 15 kw motor capable to deliver 91.1 cfm @ 7.5 bar . Image is in the attachment. We are offering to our clients, oil-flooded (wet) screw compressor of latest designs to handle virtually all common refrigerants. Our VARISCREW+ series are especially designed for the compression of ammonia. These have a special feature of providing compression up to 25/40 bar. 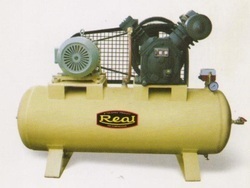 Aimed at prosper growth in this industry, we are instrumental in providing an excellent quality Industrial Air Compressor. 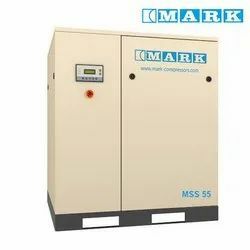 We are offering a complete range of Heavy Duty Compressors for oxygen plant which is extensively used in air separation industries and gas plants. Our heavy duty water cooled oil free or lubricated compressors are available in different models with powerful motors and compressors. These compressors are available with four stage balance double acting reciprocating in line compressors.